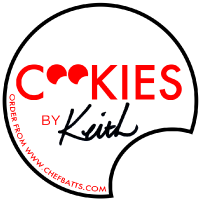 Cookies by Keith shirt with short sleeves. CHOOSE DESIRED SIZE FROM SCROLL DOWN. All shipping orders recieved after 3pm. will be treated as a next day order.